Sure, everybody sells parts, but the truth is that they don’t have the knowledge and service to back it up. At Intech Equipment and Supply, we always offer same-day and next-day customer service, as well as troubleshooting – either in person or via phone, nationwide. Consider the following scenario: Let’s say you buy a part from a big distributor – because it costs less – and that part doesn’t fit or it breaks. In many situations, it could take days for the distributor to return your call, if at all. At Intech, we work with each and every customer to ensure your parts ship right the first time, carefully walking you through the instalation or replacement over the phone. In fact, one of our key differentiators in the space is the fact that we can do what most of what our competitors simply “talk” about or “can’t” do. As a leading spray foam insulation equipment provider, our attitude is: “Lead, follow or get out of the way,” when it comes to supporting our customers. Serving commercial roofing contractors, spray foam insulation contractors, and the materials suppliers that serve those markets, Intech Equipment and Supply has built a network of industry relationships to provide the best in support and manufacturer materials. We maintain six facilities in three different time zones across the country, from New Jersey to California. This translates into extended business hours for order fulfillment as well as customer service and technical support. 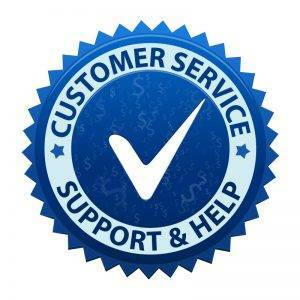 Additionally, we offer 24/7 technical support to handle all customer inquiries, whenever they may arise. Our facilities provide expert training and instruction in several application areas, as well as custom order design and fulfillment. To learn more about the importance of customer service, as well as other factors to consider when it comes to spray insulation and equipment, download our new e-book, “Top Five Considerations for a Spray Foam Equipment Provider” today.